While many classes begin with a warm up and everyone at their desk, one class — Ceramics — works differently. 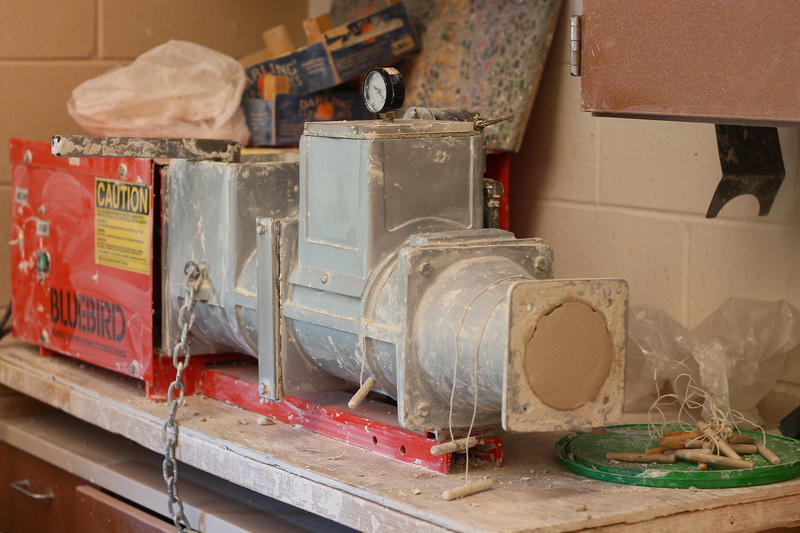 The routines of CHS Ceramics classes are designed to engage students’ creativity and save money. As the bell rings to signal the start of the period, students start to get their tools and clay. When they have what they need, they head to their tables and start working. They mold the clay as they wish until they have their desired look or continue the previous days work. If they break or don’t want to keep what they have they scrape it into a special device: a pugmill. Candacie Schrader, Arts and Ceramics teacher, explains the importance of the pugmill to the department and classes. This process ensures that more clay is saved rather than lost. Former CHS student and current employee at The Clay Makers (a ceramics studio in Durham), Emmanuel Oquaye also sees the benefits of the pugmill. Recycling clay and saving money is not one person’s job; it takes work from teachers as well as students.